When Piers Morgan accuses you of racism, you know you’re in trouble. 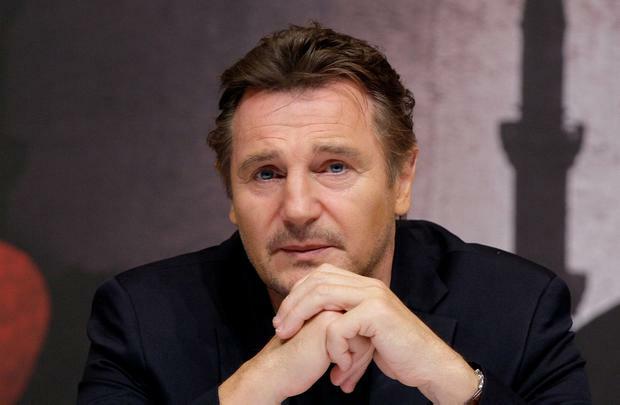 Liam Neeson’s incendiary comments during an interview seem all the stranger given their source: ask any movie journalist and they’ll tell you Liam doesn’t give too many interviews, and doesn’t say all that much when he does. Affable but tight-lipped, he’s tended to keep his cards close to his chest, and rarely discusses matters personal, like the tragic death of his wife Natasha Richardson in 2009. He did raise some hackles last year when he appeared on ‘The Late Late Show’ and suggested that the Me Too movement was becoming a witch hunt, but more or less got away with it. He was speaking his mind on Irish TV, far from Hollywood, and cited the avuncular writer Garrison Keillor’s woes as evidence of a gender-based feeding frenzy. Whatever about that, his recollections about standing on street corners nursing a “cosh” and waiting to kill a black man because a friend had been raped by one are, shall we say, more problematic. To put Neeson’s statement in context, he was talking to London ‘Independent’ journalist Clemence Michallon about his new film, ‘Cold Pursuit’, in which he plays a Rocky Mountain snow plough driver who goes in search of the men who murdered his son. They were discussing the character’s rage, which Liam said he could understand, then added: “I’ll tell you a story – this is true.” You can bet the farm he’s now wishing to God he hadn’t. God forbid indeed, and that won’t be enough to stem the predictable tsunami of outrage that has ensued. Remarkably it happened during a film junket, where ad hoc outbursts are practically unheard of. These are minutely controlled events that take place in the upper floors of swish hotels in London, Paris or Los Angeles. Journalists are politely herded into holding areas, and sorted into various flavours – print, online, TV, radio. Online and TV are usually given five minutes of video time, print get 15 or 20, which means your interview is likely to resemble a conversation. The gateways to the stars are zealously guarded by studio flunkies who warn you the actor in question does not want to talk about this or that, and will walk out altogether if you mention the other. During the interview itself, a PR person or media adviser will often sit in a corner of the hotel room and tut-tut if you stray too far. The stars themselves, though, don’t usually care much about all these rules, and the bigger they are, the more relaxed they are. And that’s the art of film interviews: getting someone to relax and encouraging them to feel they’re just having a chat. I’ve done it lots of times, and often the people you’ve been warned are the most difficult turn out to be the most interesting. The trick is not to ask stupid questions: imagine how bored Russell Crowe gets by being asked about ‘Gladiator’, and drinking. You want something interesting, a quote that will entice the reader and maybe cast the actor in a new light. Interviews happen in a blur and it’s only when you transcribe the conversation that you find out whether it went well, and if you have something. If I heard something back like Liam’s “black b******” comment, I would have a crisis of conscience about whether or not something as potentially damaging to the subject should be used. After all, haven’t we all said things in casual conversation that we wouldn’t like broadcast to the world? The difference is, this wasn’t just a conversation, however much we journalists like to pretend they are, and my suspicion is that interviewing A-list actors is about to become that bit harder. Oh, and for the record, I probably would have ended up using the quote as well.